The Canadian Dollar is the official legal currency of Canada. Sometimes referred to as the “Loonie” by foreign exchange traders and is currently ranked as the fifth most popular reserve currency with two percent of the market share worldwide. The success of the Canadian Dollar is due in large part to the stable Canadian political and economic systems. Unlike some of the other major currencies traded internationally, the Canadian Dollar has a number of interesting legal requirements when determining “legal tender”. For instance, retailers may refuse a large number of lower valued coins, such as a customer offering twenty-five $1 coins. Laws such as this are designed with the purpose of deterring theft. As stated above, the Canadian Dollar is currently the world’s fifth most-traded currency. The perceived stability of the Canadian Dollar allows it to be used as a “benchmark currency”, a tool to measure the fluctuation of other popular currencies such as the US Dollar. While the Canadian Dollar ranks fifth on the international foreign exchange market, the Canadian Dollar is the currency of choice for investors in Central and South America as well as countries located in the Asia Pacific region. The Canadian Dollar came into being when the provinces of Canada unified under one nation in 1867. At this time, the individual provinces began the process of transitioning to the new national currency. The formalities were completed in 1871 when the new Canadian government passed the Uniform Currency Act. Before the unification of Canadian provinces, each of these individual governmental institutions used their own currencies and some even elected to use foreign currencies such as the Spanish Dollar. 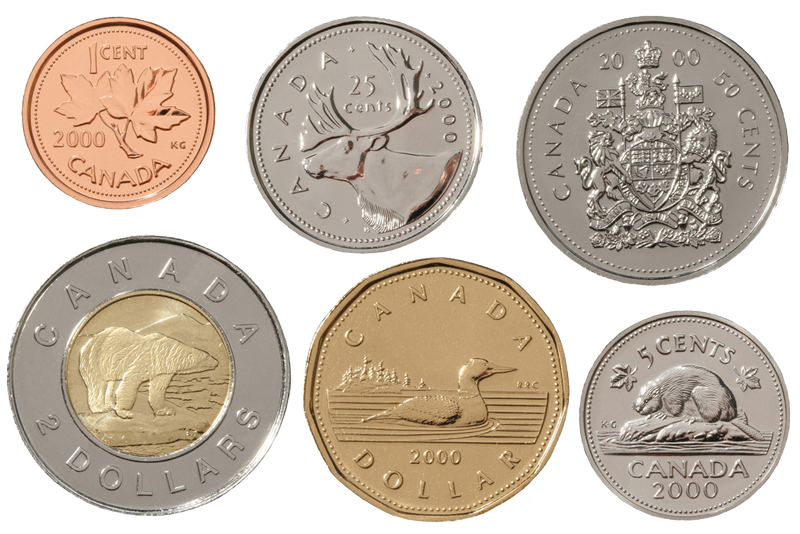 Canadian provinces adopted the decimal currency system before the nation as it is known today was even formed. In fact, the British Province of Canada implemented the decimal currency system in 1857. Despite acting in opposition to the desire of governmental powers back in the United Kingdom, the Canadian government would continue to recognize the British Pound Sterling as legal tender within the nation’s borders up through the 1990s. While the Canadian Dollar was originally backed by a gold standard, the first world war proved to be the beginning of a transition to a fiat currency. While the Canadian Dollar would temporarily move back to the gold standard after the first world war, the Great Depression of the 1930s would complete the transition. The Canadian Dollar was valued at a fixed rate until 1950 when the currency was evaluated in light of economic factors for the first time. At this time, the Canadian Dollar saw an increase in value similar to the American Dollar. The Canadian Dollar returned to a fixed rate once again in 1960 only to be floated once again in 1970. To this day, the value of the Canadian Dollar is determined by the market. There are 6 primary coins ( $2, $1, 50c, 25c, 10c, 5c) in active circulation and some commemorative and collector coins in circulation but with limitations pr specified restrictions applied. There are a total of 5 primary Canadian Dollar bank notes ($100, $50, $20, $10, $5) available in circulation. Over the past decade there have been extensive upgrades in terms of security to Canadian bank notes in order to prevent fraud and counterfitting.